Several polymers are used to determine the best for the application. Then the appropriate dose rate is determined and used for the settling test. Data are collected on the settling rate of the distinct interface between liquids and solids contained in a gently stirred reactor. 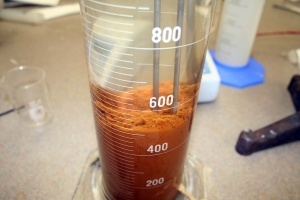 Information from this test can be used to size a clarifier or a thickener.